The Institute was established in 1982. 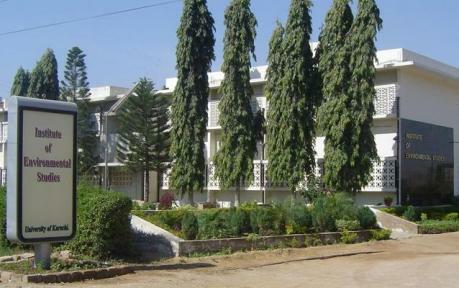 This is the oldest and pioneering Institute in the field of Environment which is offering M.Phil. and Ph.D degrees. The Institute started offering M.Sc., Postgraduate Diploma and Certificate courses since 1996 and B.S. program in 2009. The Institute provides excellent air-conditioned lecture hall, well equipped environmental laboratories, library and audiovisual facilities for the students. It is also recognized as a technical Focal Point on Environmental Health Activities of WHO/EMRO. After completing two years M.Sc. program and four years BS program the graduates would be able to take up managerial, technical and consultative responsibilities in various industries, multinationals, civic agencies, consulting firms, public health laboratories and organizations, environmental regulatory bodies, educational and research institutions and environmental protection agencies (EPAs).